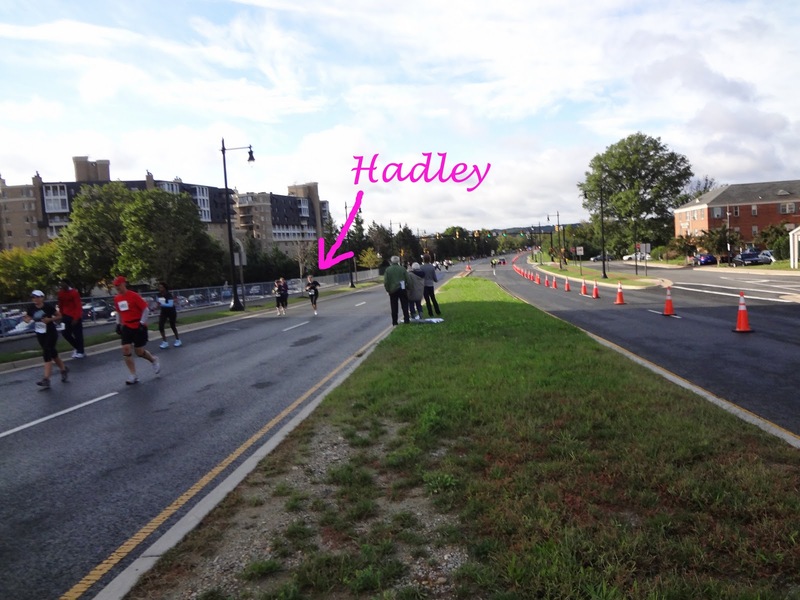 My good friend Hadley ran her second half marathon this morning. 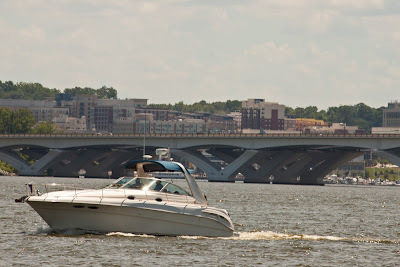 It was a few months ago that she signed up for the Wilson Bridge Half, a point to point race from Mount Vernon Estate in Alexandrai, VA, across the Woodrow Wilson Bridge, to the National Harbor in Maryland. Having missed her at the National Half Marathon in March, Nikki and I were determined to cheer Hadley on in this race. But Alexandria, and the harbor especially, are kind of a pain to get to. So what did we do? We biked! Nikki and I met at 7:30 am in Woodley park dressed for the frigid weather and potential rain storms. We set off on what would be Nikki's first ever long bike ride. We rode slowly at first and had some trouble talking on the rock creek trail, as many cars drove by. 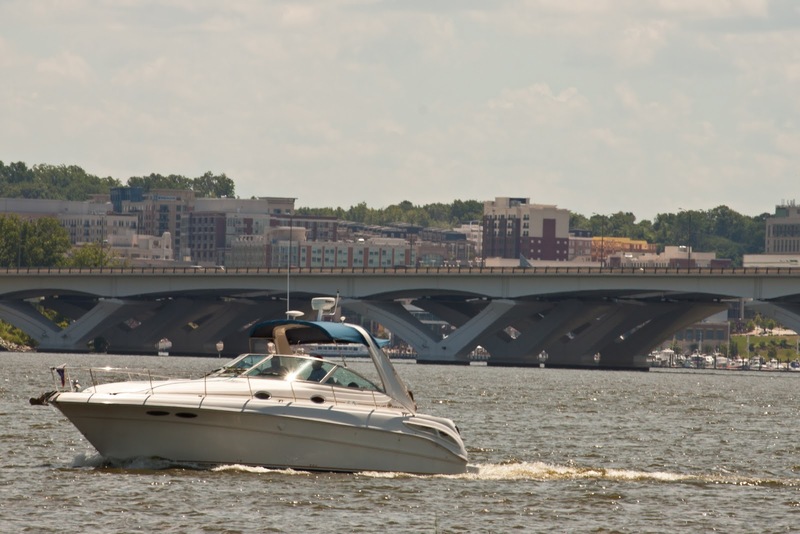 But as soon as we crossed the Key Bridge and entered Virginia, we sped up and rode next to each other so we could talk. It was cold but we warmed up quickly and admired the beauty of the early morning. Whenever I felt too cold, I thought about how we were expecting rain and felt fortunate to be only cold, not wet and cold. I took lots of pictures of Nikki riding. This inaugural bike ride of hers had to be well documented, especially if it leads to her becoming a real biker one day. The path stretched on but it was beautiful. These are the roads on which I'll create my ideal blog header- whenever Josh and I get a free, sunny day to take a bike ride and have a photo shoot. We came to a point where we could see the Wilson Bridge in the distance. It's hard to see but if you look closely, it's there! 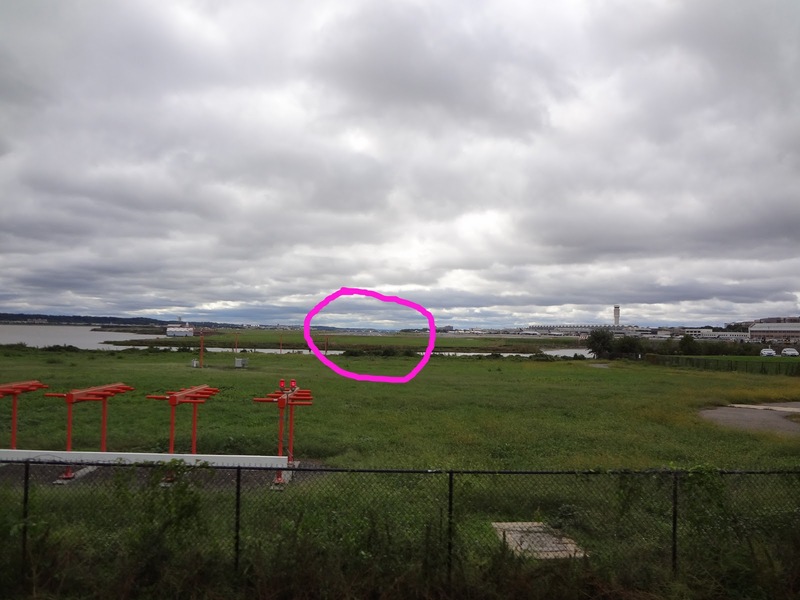 Here is what it looks like from a normal distance. Josh took this photo during our ride to Old Town in July. Then we came to this old bridge. Josh and I have ridden by this many times and I've tried being his artful eye and encouraging him to photograph it. It is a big production for him to stop and take photos, with lens changes, focus and shutter speed options, etc., so he has yet to do it. Lucky for me, I was riding with a camera around my wrist and not stopping to take any of my pictures. So I made my own artsy photography. Take that JBassettPhotography.com! We came to the Alexandria marina, where Ingrid's family used to house their sailboat. I have many good memories there stealing mints from the boat house, playing with a boat rudder trying to be captain, and laughing and sailing with the Osterholms. At 8:43 we were still two or three miles from the bridge and worried about missing Hadley. We sped up a lot and checked the time frequently. We made it to Old Town and, without telling Nikki that I wasn't exactly sure where to go from there, I led the way to the bridge. We found it, laid our bikes on a median with other cheerleaders and waited for our running friend. Nikki's sign may have been a little R rated. And mine was controversial, as the runners were very clearly running uphill by us. Some of them actually yelled to me that it was wrong. But it's an inside joke, something Hadley yelled at Nikki and Eric during the National Half in 2010, around mile 8 before they ascended several more hills. We knew what she was wearing so we kept picking out people from afar that may be her. As the time passed, we worried we had missed her. We joked about yelling to runners with watches and asking for their current pace, so we could confirm that she should still be on her way. We were just paranoid. Only about ten minutes after we got there, though, I spotted black capris, black long-sleeves, and a bouncy blonde ponytail in the distance. She was still a little dot but I knew that ponytail. We ditched the bikes and ran to her. She threw a Gu at us and did a funny little bow. Like a champion, she ran up that hill and, like goofballs, we ran with her. We chased and yelled at her like maniacs. And she yelled back when we said "it's all downhill from here..."
Both her feet are off the ground. Running pictures are the best! Her shirt said "Well behaved women rarely make history" on the front and "BIG BAD HAD" on the back. See that wild ponytail? I didn't realize it was so recognizable until this morning. But we could spot it anywhere. As our girl ran off up the hill, some other spectators laughed at the "Nasty Hadz" nickname, and probably at our madness. So we asked them to take our picture. Then these two little boys ran by. We were in disbelief that they had actually run 8.5 miles to get to this point in the race but it looked like that's what they did. They were matching and it was very cute. Pretty freezing at this point but pumped with adrenaline, Nikki and I left and rode to the Starbucks in Old Town for hot beverages and healthy breakfasts. We left around 10:15 and the return trip flew by. We were back in DC in no time. And then we were in Woodley Park, where my friends were playing Frisbee. We stopped and said hi. Nikki headed home and I hung out to watch for a few minutes before riding back to CP. By then, the sun was out but I was cold and ready to cozy up on my couch. So I went home to eat and nap. This morning was cold and memorable. Being out, on two feet or on two wheels, before most others, feels so good. There is a nice calm in the morning and I loved it. And then there was the opposite of calm on the sidelines of Hadley's race. Lots of adrenaline and cheers. It was the perfect combination. 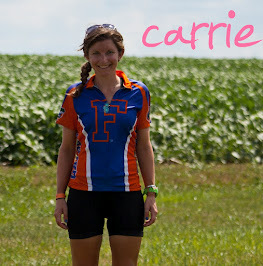 Nikki rode 22 miles this morning, more than she has ever even thought about riding a bike. 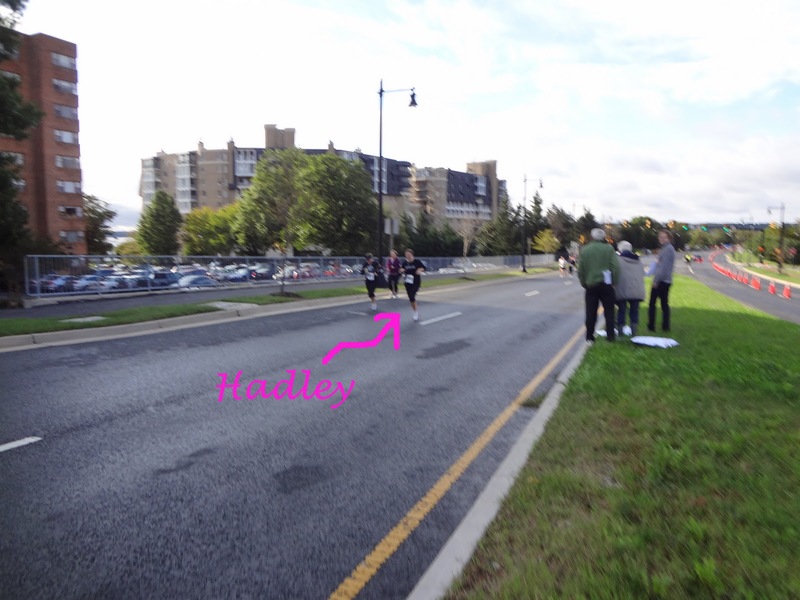 And Hadley set a Half Marathon PR, finishing ten minutes faster than she did her first. So congratulations Hadley! 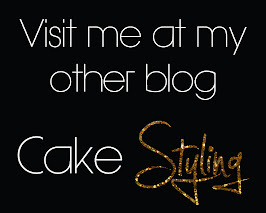 It was a success all around. you're the best!! seeing ya'll gave me the extra boost i needed to finish!! thanks for capturing my run!